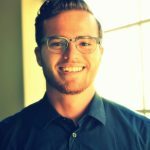 After multiple complaints from customers concerning modern coffee grinders, a solution is now available thanks to a more innovative and feature-packed coffee grinder that will revolutionize the world of coffee brewing. Although there are multiple choices available, one of the best manually operated coffee grinders you should consider is the Zassenhaus Santiago Mahogany Beech Wood Manual Coffee Mill. Crafted by renowned German artisans, this antique coffee grinder features an innovative mahogany finish and a flawless brass coating on the handle to give it a vibrant and more comfortable appeal. 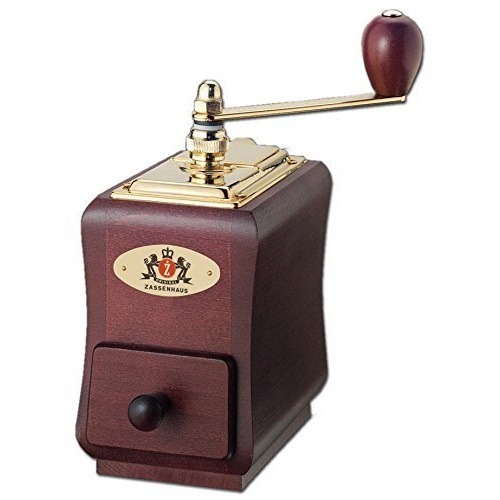 Why has the Zassenhaus Santiago Mahogany Beech Wood Manual Coffee Mill excelled so much? The main reason why this antique coffee grinder has cemented a place in the coffee grinding arena is due to its sturdy craftsmanship. With a company experience that goes back over 150 years, Zassenhaus knows exactly what customers need and have gone ahead to apply every detail to their manual coffee grinder to make it more appealing and perfect to the end user. 5.1 How do I clean this coffee grinder? 5.2 How long will it take to grind an entire hopper? 5.3 Can this grinder be used on a daily basis? If you’re an avid coffee lover who values both style and quality, the Zassenhaus Manual Coffee Mill is definitely the best choice for you. Crafted with a mahogany finish and an elegant brass coating at the top, this manual coffee grinder will not only suit your modern kitchen but will also give it a flawlessly new look that will complement most of your kitchen accessories. For those who are worried about their kitchen space, let me assure you that the Zassenhaus Manual Coffee Mill will definitely fit into your kitchen regardless of the size. Weighing just 2.1 pounds and measuring 8.2×3.5×8 inches in size, this manual coffee grinder is definitely compact enough to fit in any kitchen and leave enough space to fit other accessories. When it comes to the ritual of grinding coffee beans on a daily basis, most people enjoy working with an extremely sturdy machine that delivers consistent results for a longer time. With this fact in mind, Zassenhaus has managed to design their coffee grinder with stainless steel burrs that will not only crush your beans but will also help to extract the goodness and the flavor inside the coffee beans. If that’s not enough, Zassenhaus has incorporated a little box on the lower area of this coffee grinder where coffee grounds accumulate in, and can be collected from after you’re done grinding. The drawer is sturdy and doesn’t play when grinding is in progress making it highly reliable. I believe most enthusiast buyers must be wondering about the settings right? Well, there’s nothing to worry about because Zassenhaus has put everything under proper control. Now, to adjust the settings, there’s a knurled adjustment knob below the crank that allows you to adjust the settings to achieve a consistent and uniform grind from coarse to super fine. With such settings, I believe coffee aficionados will achieve fully flavored grounds that can be used to brew espresso, AeroPress or Turkish coffee. Similar to most Zassenhaus grinders, the Zassenhaus Manual Coffee Mill is the best fit for those coffee fans who enjoy taking espresso to boot up their brains. Since this grinder operates manually, users will not experience any heat build-up during the grinding process. As a result, you’ll be left mesmerized by the sweet aromatic coffee full of freshness. In addition to that, this coffee grinder will suit users living in small apartments thanks to its compact size and lightweight. Made from a solid mahogany construction coupled with a carbon steel mechanism, the Zassenhaus Manual Coffee Mill is sturdily built and able to stand the test of time. According to most customers, this antique manual coffee grinder is available at a pocket-friendly price. Unlike the modern automatic coffee grinders, this one is much faster, consistent and very easy to operate. Since it’s operated manually, the Zassenhaus Manual Coffee Mill is very quiet when grinding. Due to its high durability, customers are offered a massive 25-year limited warranty in case of any defect. This coffee grinder is ultra light and compact enough to carry around and fit on any counter space. This coffee grinder is very difficult to operate while on the countertop. Most customers have opted to grind while the machine is between the knees. This coffee grinder is very inconsistent and doesn’t grind the perfect coffee that can be used for French press. How do I clean this coffee grinder? This is one of the most frequently asked questions by most users. Unlike its automatic counterparts, cleaning the Zassenhaus Manual Coffee Mill will require you to use a fine brush to clean the entire system and remove any clogged ground coffee. How long will it take to grind an entire hopper? Since this coffee grinder is manually operated, the results will greatly vary depending on how fast you can turn the handle. However, according to its settings, you’ll need to turn the handle at least 80 times to grind fine coffee and approximately 60 times to achieve course grinds. Can this grinder be used on a daily basis? This is another common question that has been asked by a majority of potential buyers. Based on its sturdy construction, it’s obvious that the Zassenhaus Manual Coffee Mill is a machine that can handle the toughest daily workouts without breaking down or overheating. Finally, the Zassenhaus Manual Coffee Mill is an excellent choice for those customers who enjoy taking matters in their own hands. Made from a mahogany finish, this coffee grinder is easy to operate making it the best for grinding finely ground coffee perfect for brewing espresso and AeroPress. The high-grade carbon steel conical burr is durable and ensures that consistent results are achieved on a timely basis. With that said, the next time you’re searching for a manual coffee grinder, don’t hesitate to choose the Zassenhaus Manual Coffee Mill.